My interest in SDR was very much started off by the Softrock receiver. 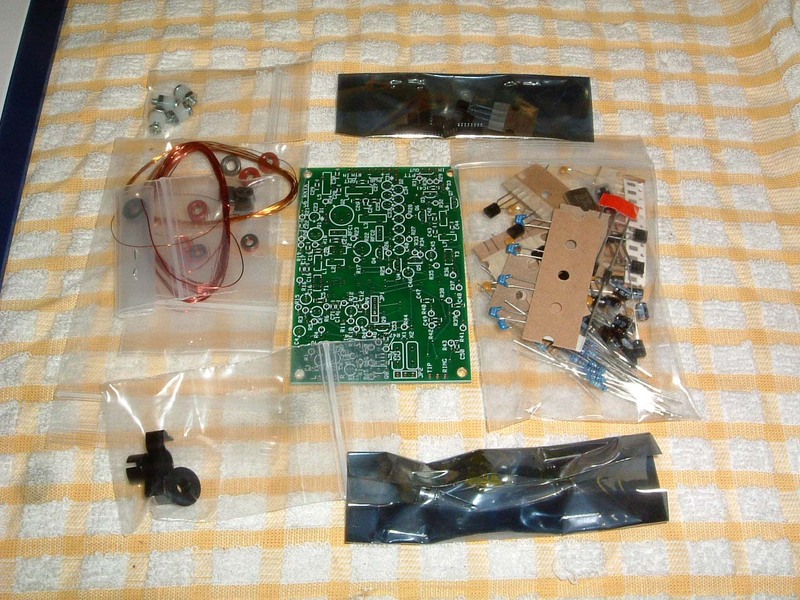 This was a small and inexpensive kit initially being sold through the AmQRP organisation from kits provided by Tony, KB9YIG. The current focal point for the Softrock series is the Softrock40 Yahoo group - this is where you can find out more about the Softrock, how to buy one, etc. 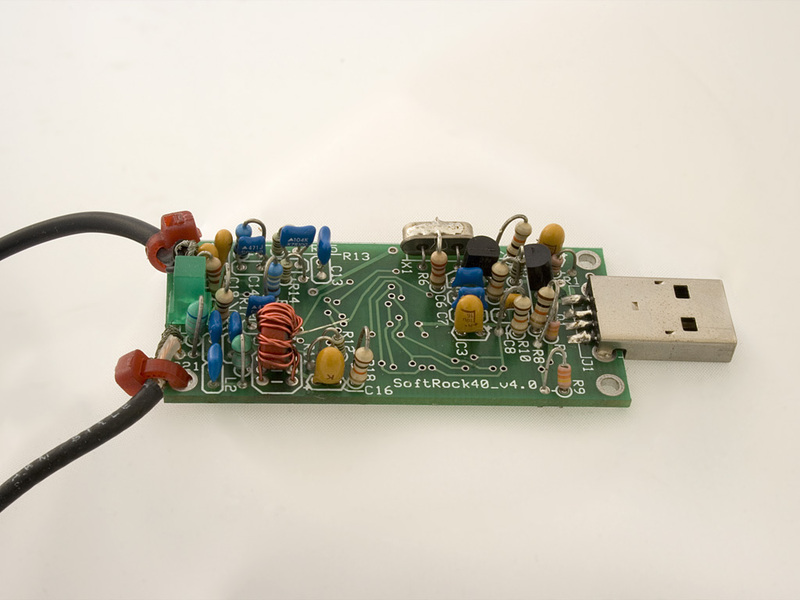 The Softrock format has gone through various re-designs in the last year or so, and has now appeared as a transceiver kit. In these pages are the Softrocks I've gathered and the current state of play with each one. Softrock 40 V4 This is the one that started it all off for me. The kit run of 1000 came out in 2005 and sold out immediately. A second batch ran out as soon at it hit the streets, luckily I managed to order one of these! 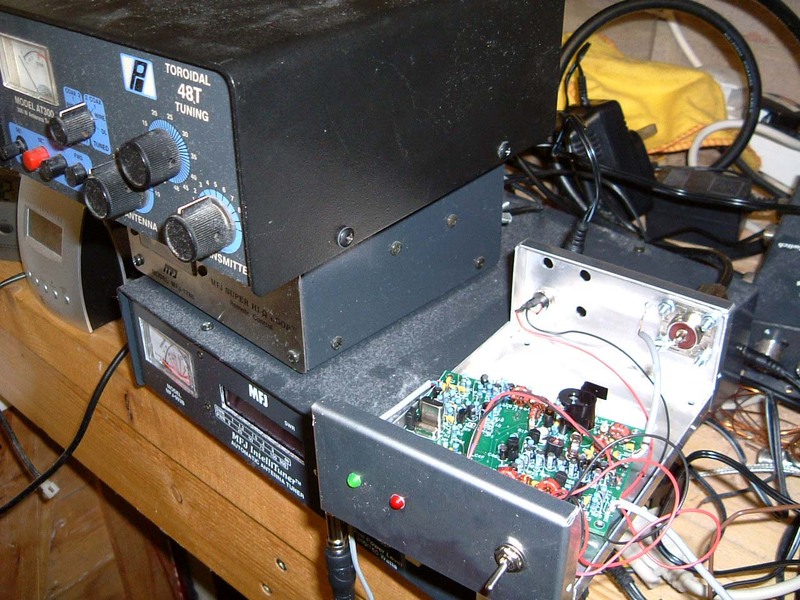 I used this softrock with the PowerSDR software modified by Bill Tracy KD5TFD who was good enough to make changes to the software so it would work with this little kit. Although it has a USB plug, it does not interface with USB (the plug is only to steal power from the PC system). The leads go to the antenna and soundcard input. Softrock V5 This version made a jump forward by allowing a plugin board to hold the crystal oscillator and bandpass filter. By this stage, users were taking the softrock format and applying it to applications other than 40m amateur band, i.e. broadcast shortwave and DRM. The plugins allowed it to service pretty much any band the user required. At around the time this kit turned up, I started looking at the software side. I didn't know at that stage it would lead to the development of KGKSDR and all the time the development would consume! 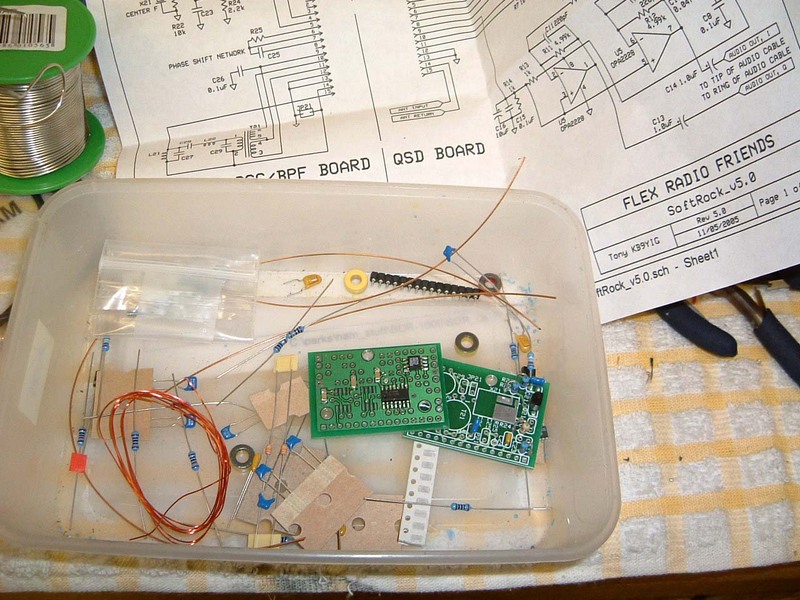 Because of the time spent on KGKSDR, the Softrock V5 never did get finished and remains part built in a Chinese takeaway container. Softrock V6 The KGKSDR software consumed more and more time such that when the version 6 of the Softrock hit the streets, my father GM4KGK kindly constructed one and boxed it up for me. Softrock TX This was the first Softrock TX shown at the top left. 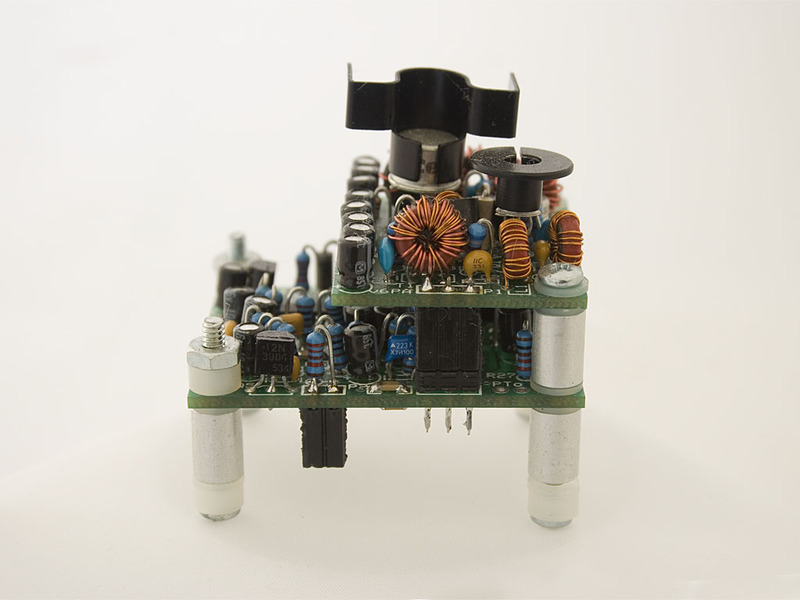 It's a stacked board which is designed to stack on top of the V6 receiver shown immediately above. In addition to the work done by Tony, the TX side was designed by UK amateurs G0BBL, M0PUB and G8BTR giving the Softrock something of an international flavour. Softrock RXTX The new RXTX kit had turned up. 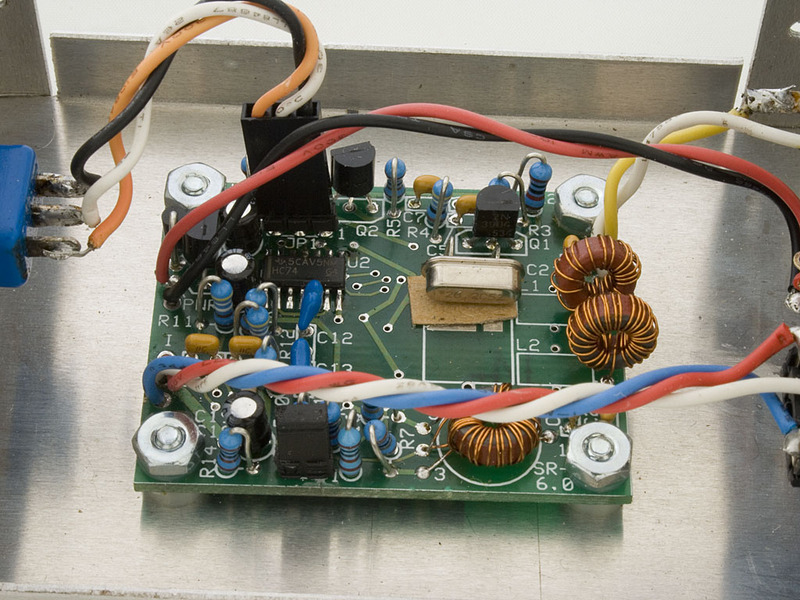 The PCB layout was flattened from the previous stacked concept and the RX added onto the PCB as well so all transmit and receive functions are present on a single board. I elected to build this one and run with this for the first tests simply because the flatter board would be easier to troubleshoot in the event of a problem. This is the new board being tested on the bench. The Softrock crew continue to tweak the component values and design to get more power and cleaner output so more changes may still be required. 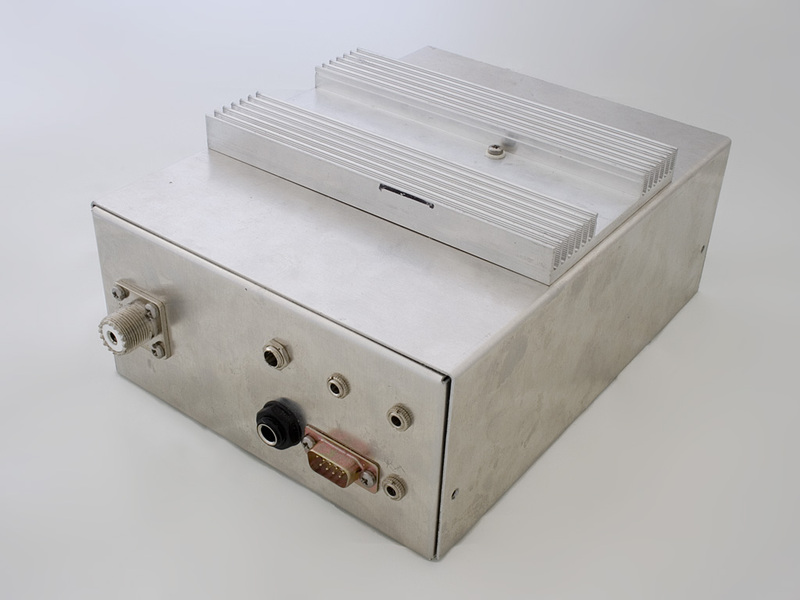 I've sized the box so that there is enough room for a small 5-10W PA.
As of 8/11/06, formal transmissions have still not taken place although the unit has been keyed using test software to send the morse letter 'O' and this has been received 832 km away. Not bad for only 0.4 watts. Softrock RXTX V 6.1 as built for me by GM4KGK April 2007. It's a very neat job, the SR board is in there along with a PA board hosting a pair of IRF510 MOSFETs for around 15W output. 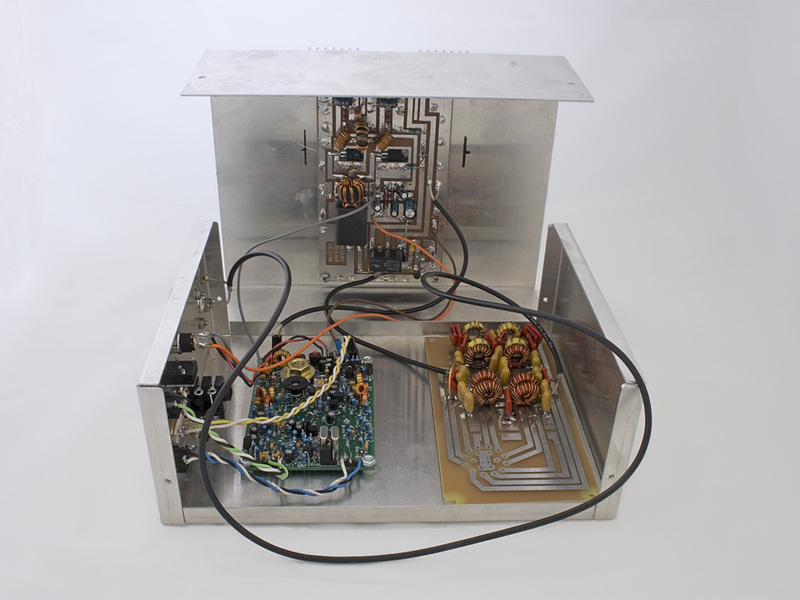 The board at the right is the filter board for 160m-10m which needs a rotary switch to complete. The finished item all boxed up. It looks very tidy and neatly showcases how many changes the Softrock series has been through since the "USB plug" days!